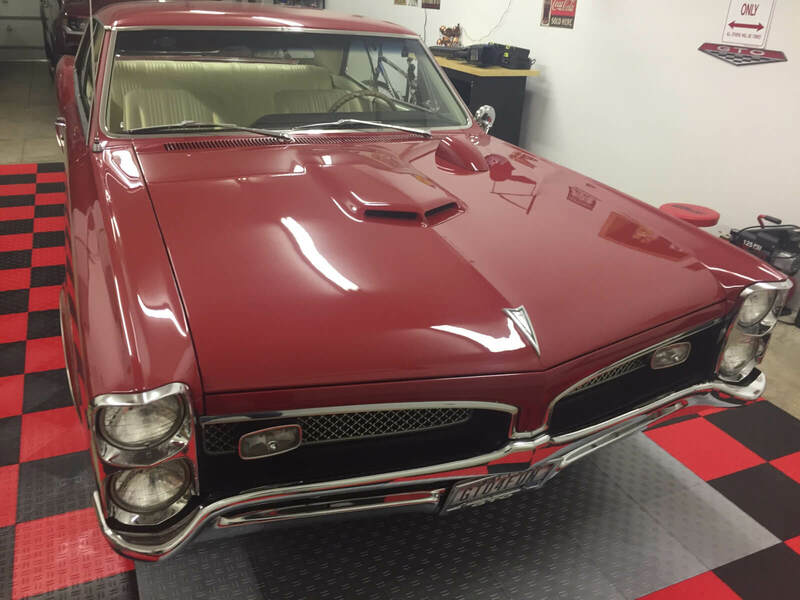 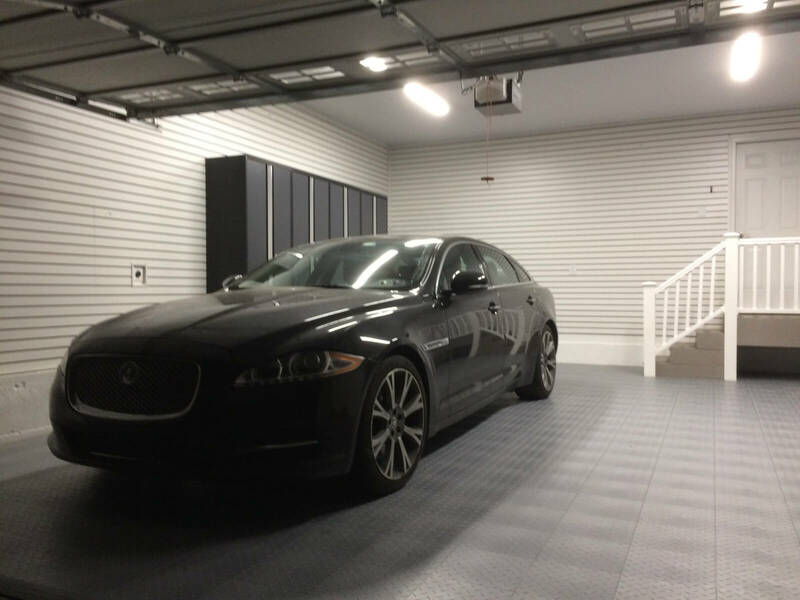 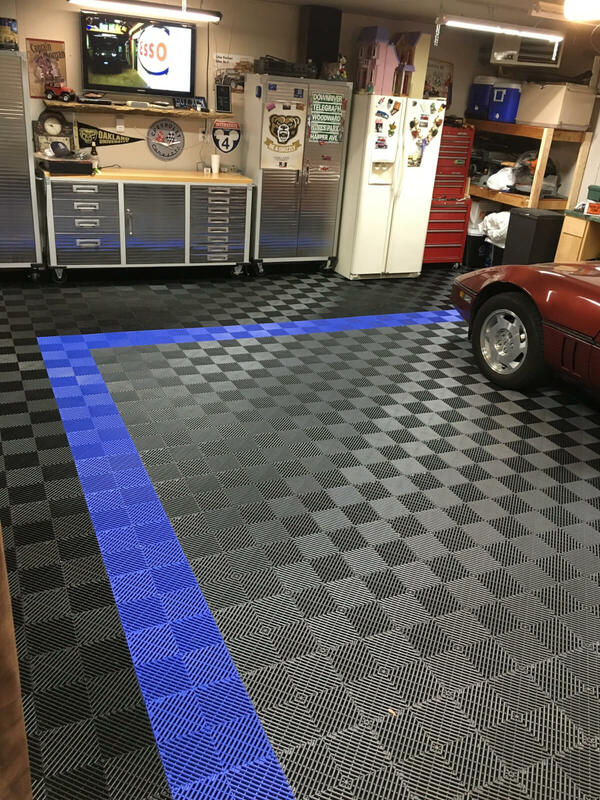 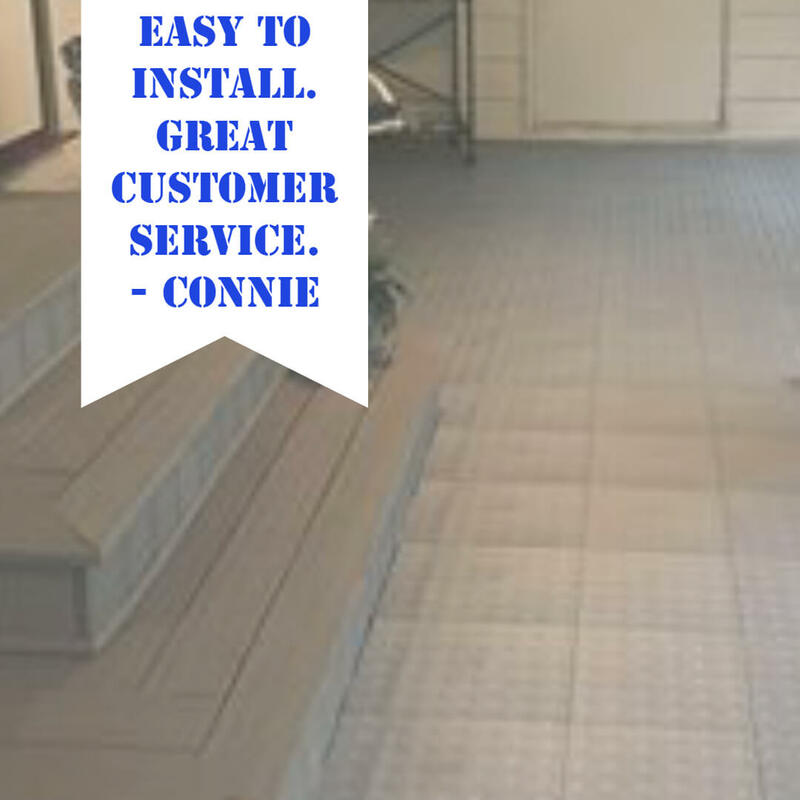 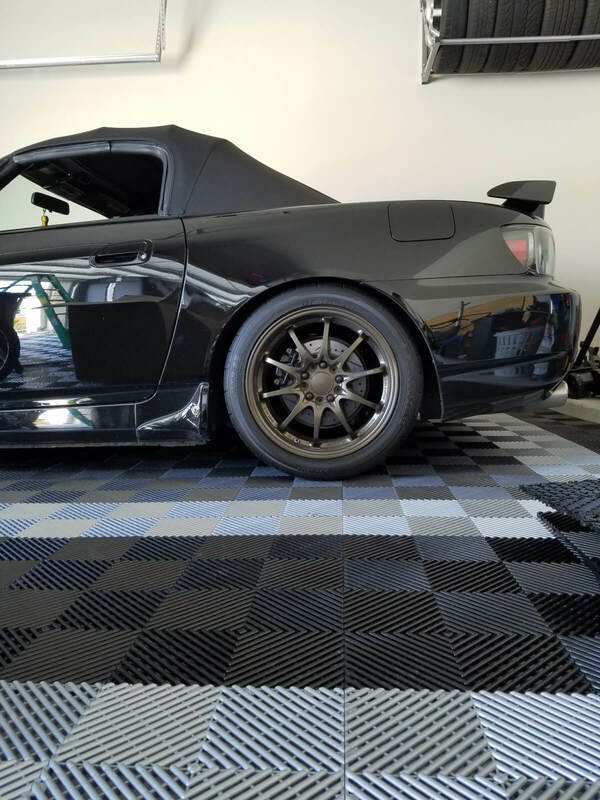 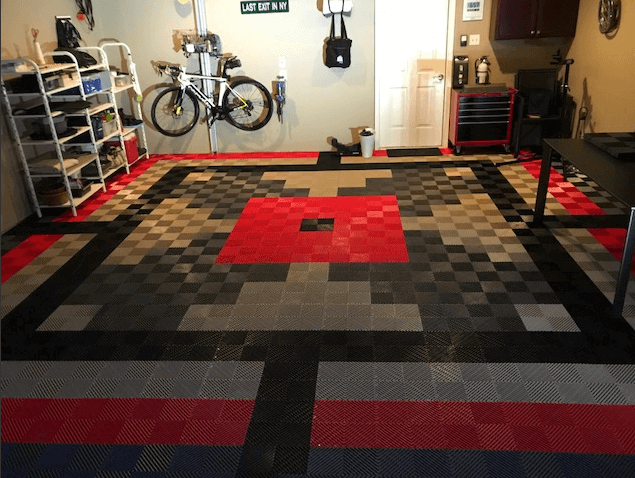 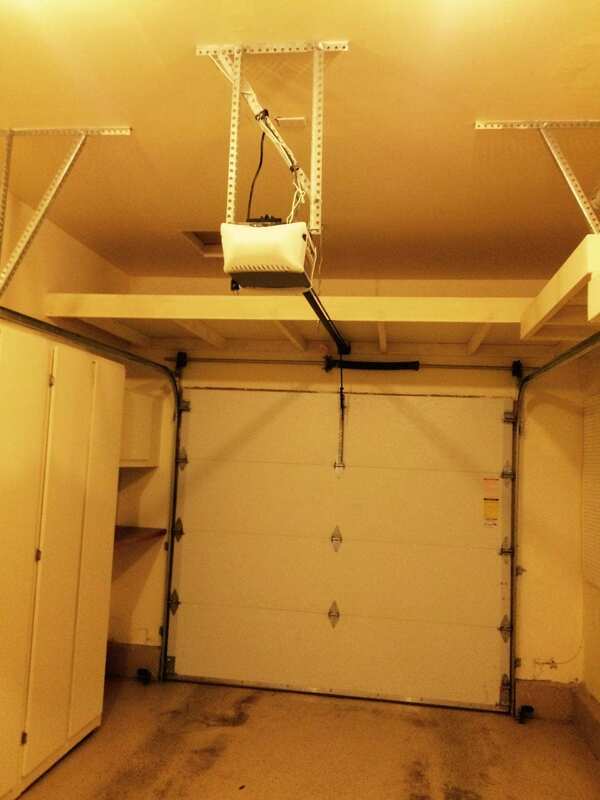 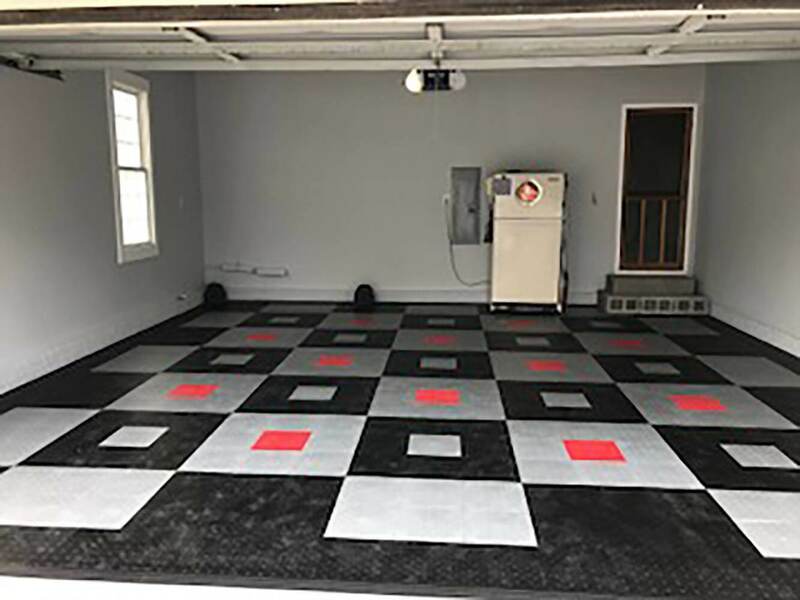 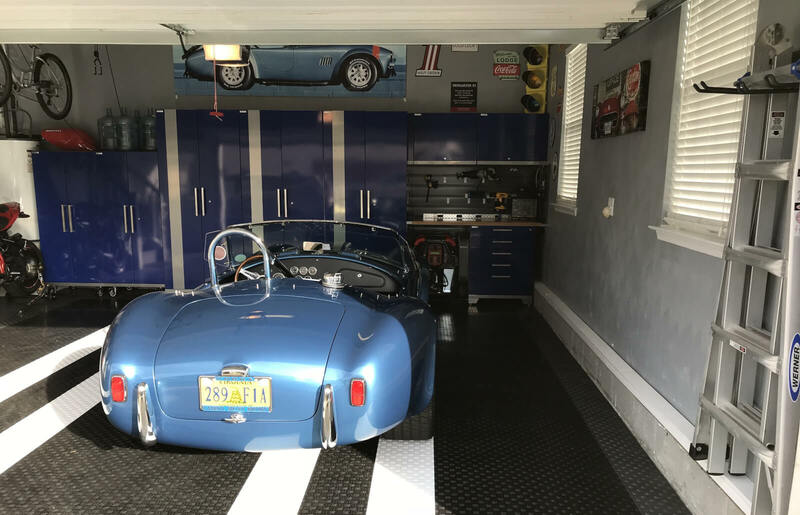 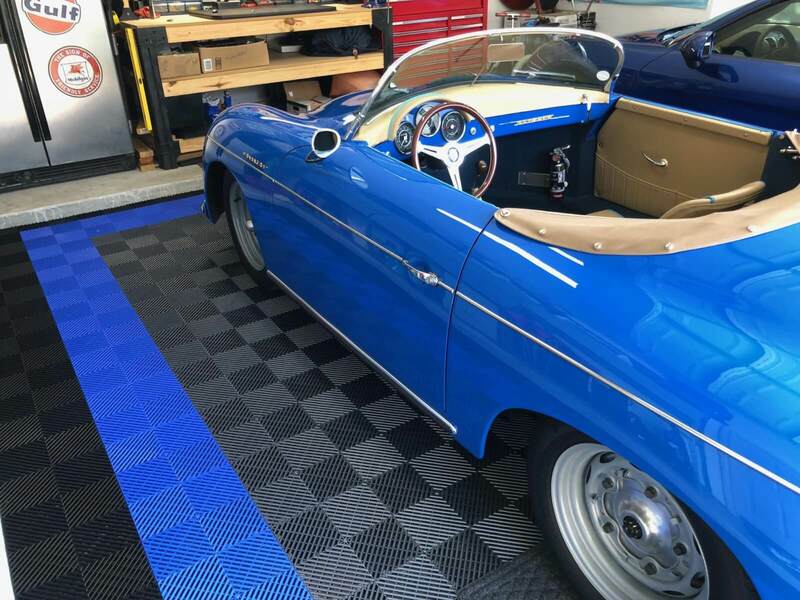 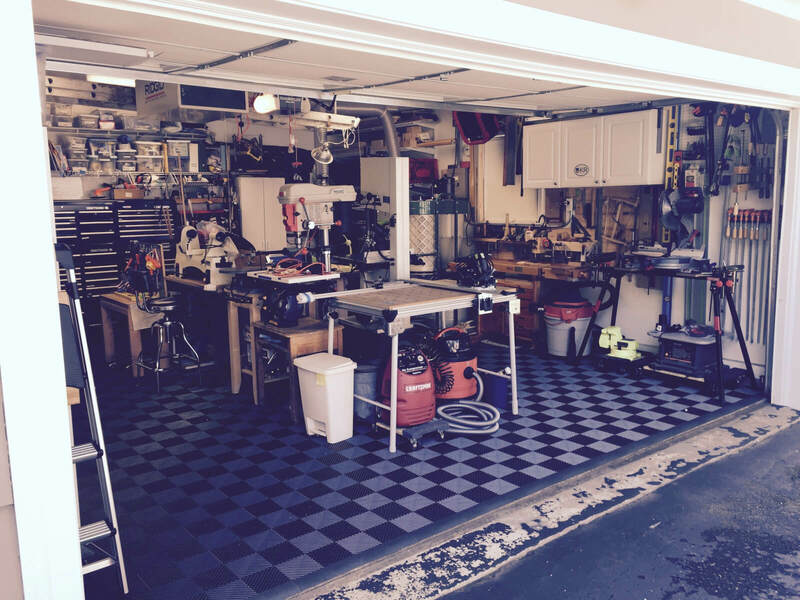 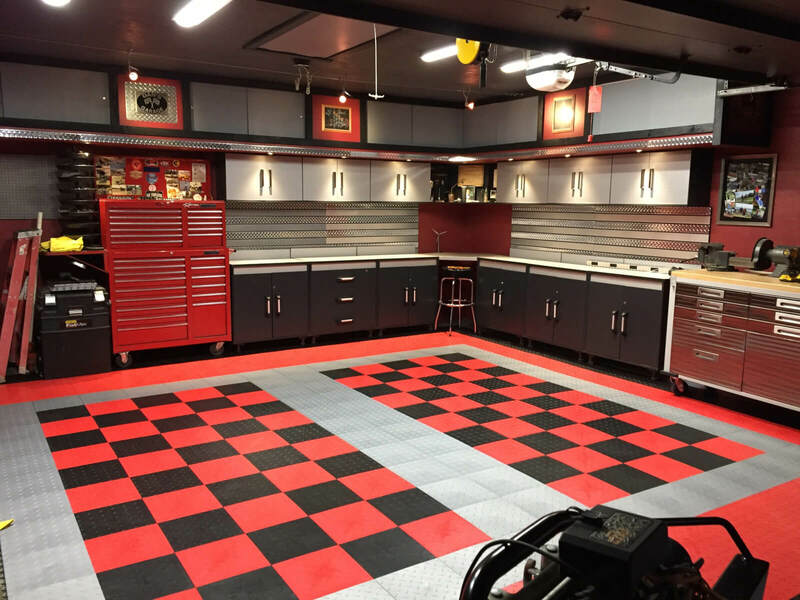 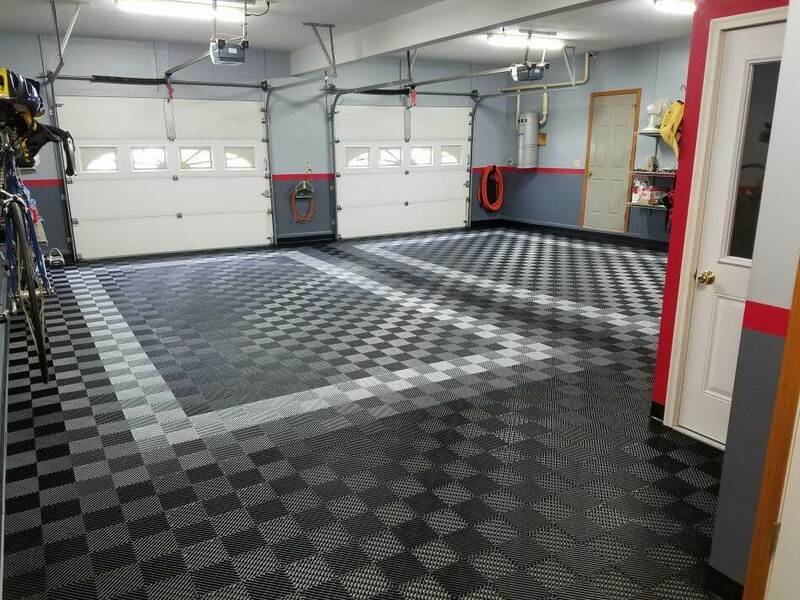 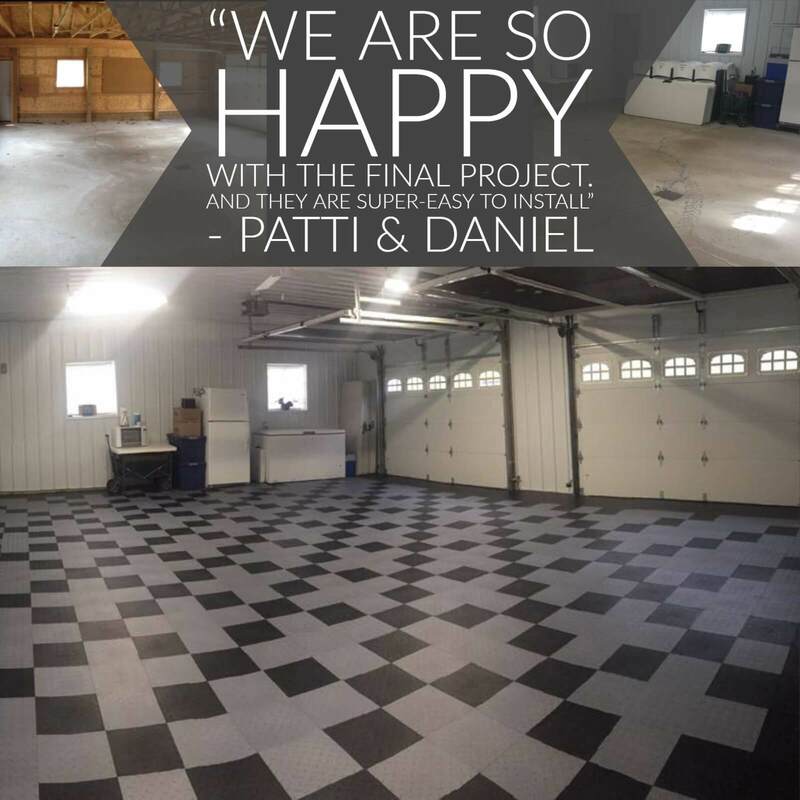 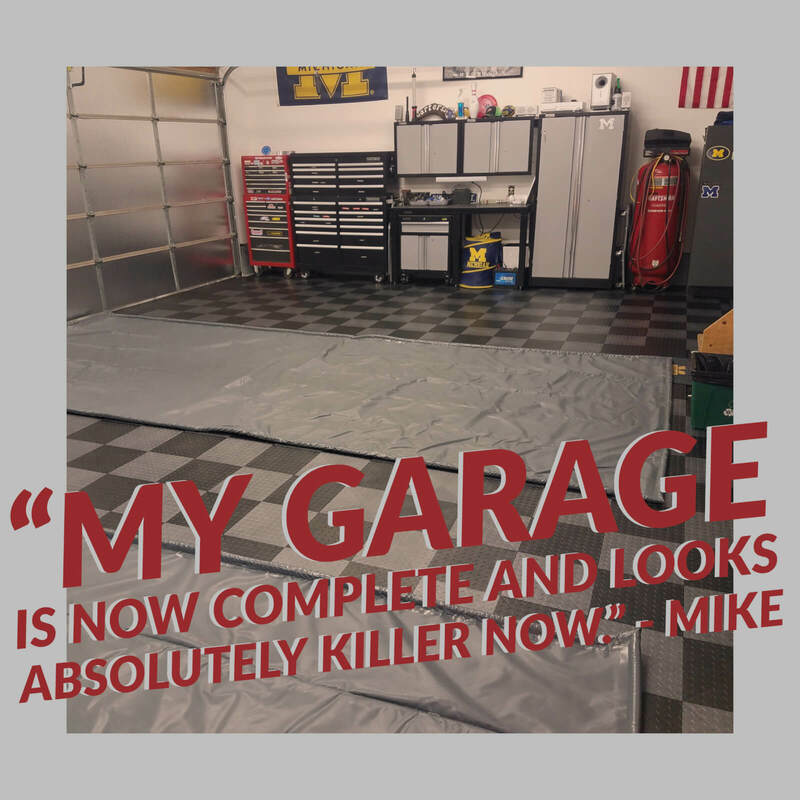 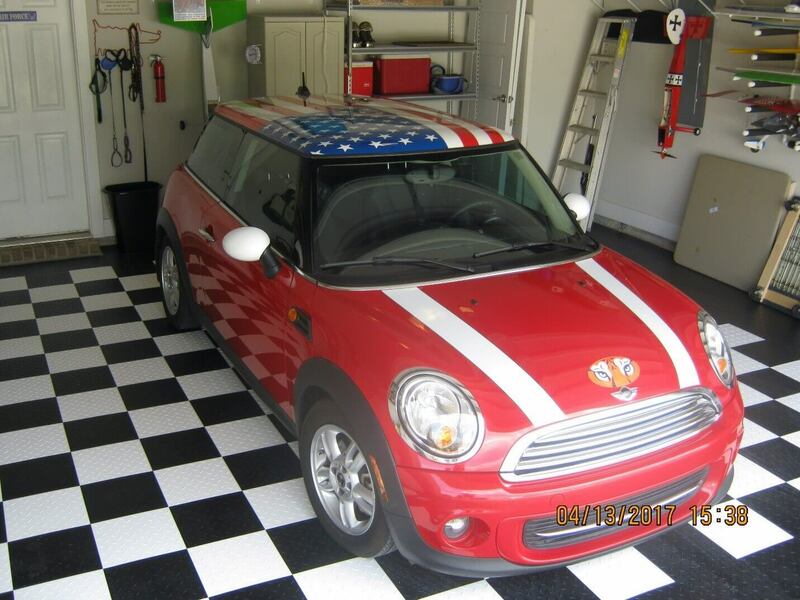 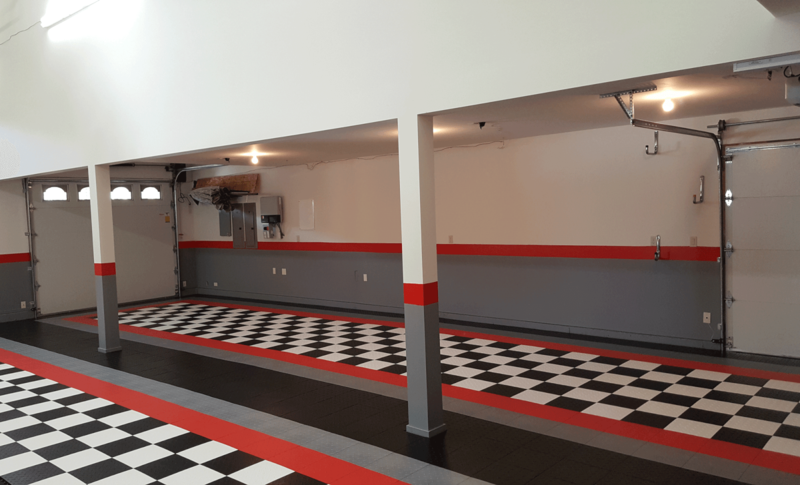 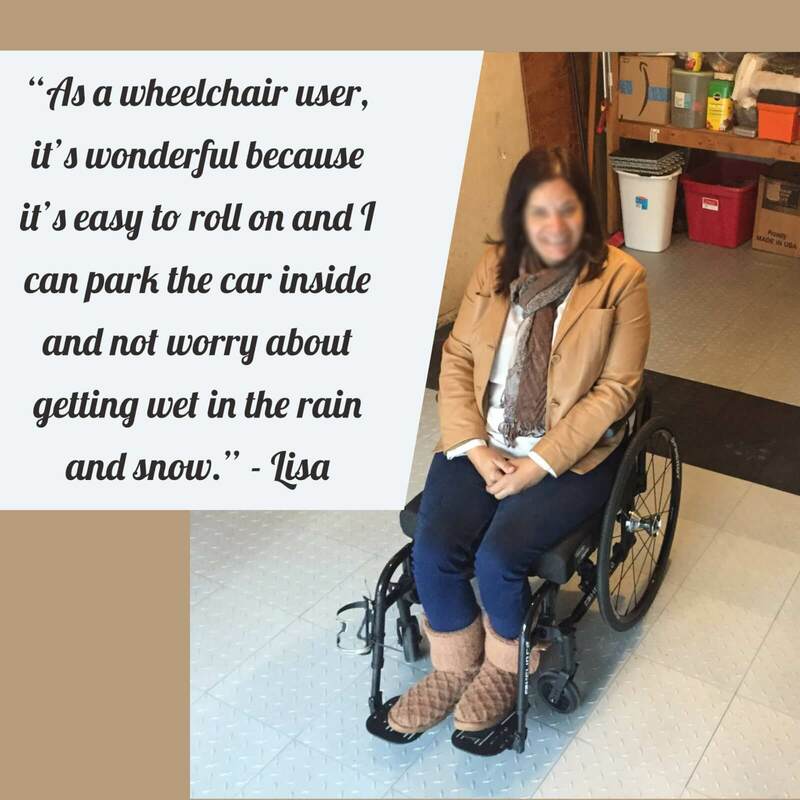 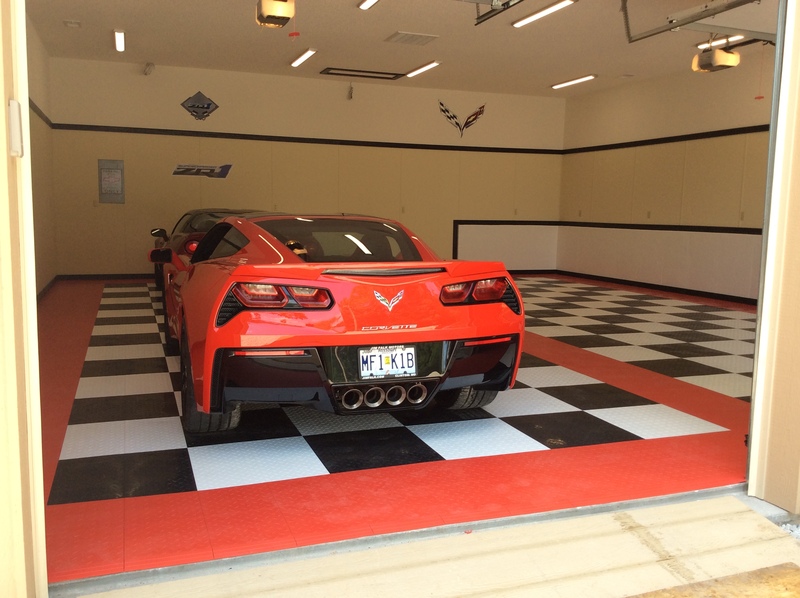 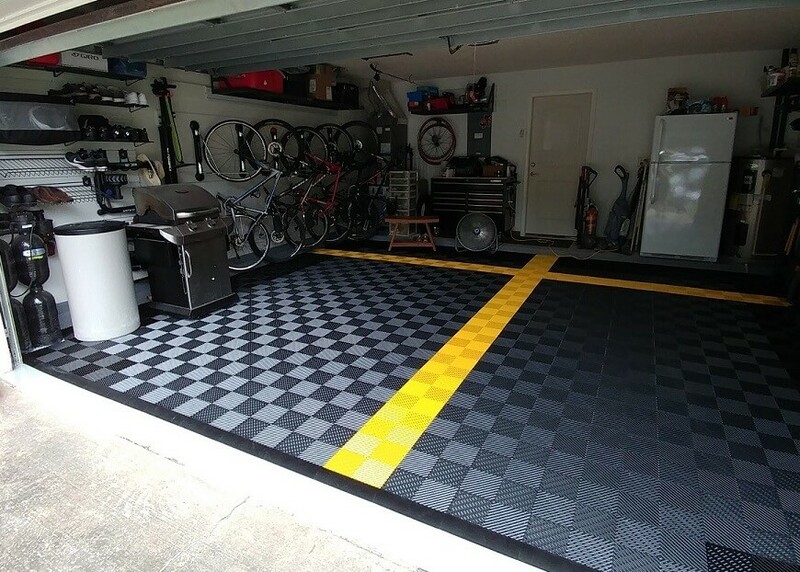 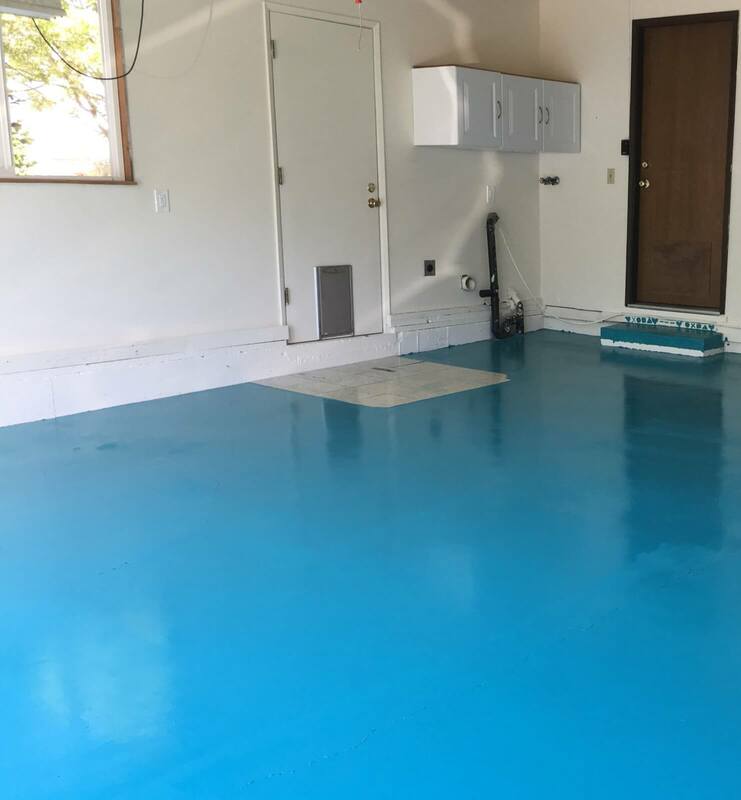 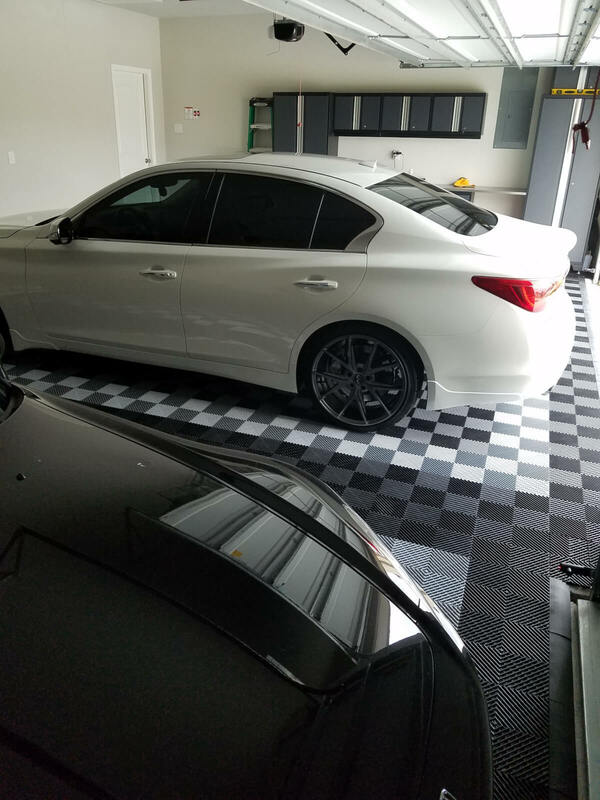 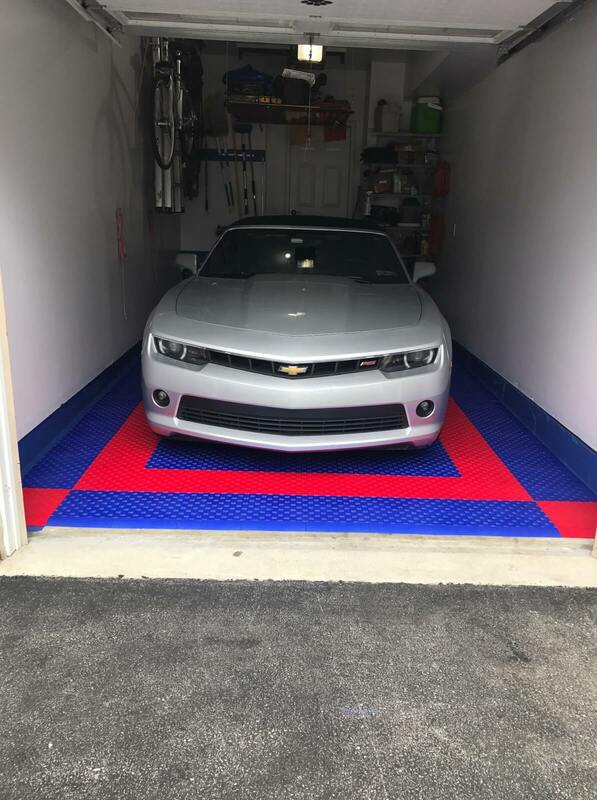 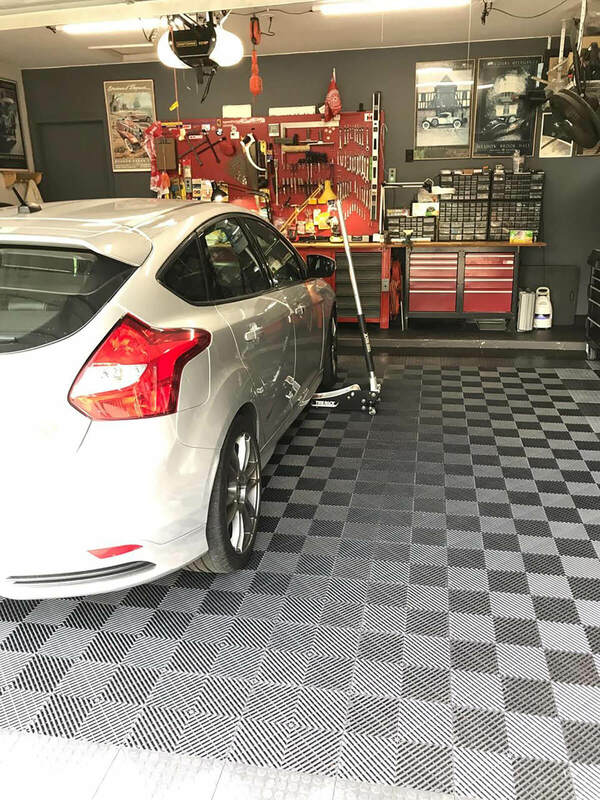 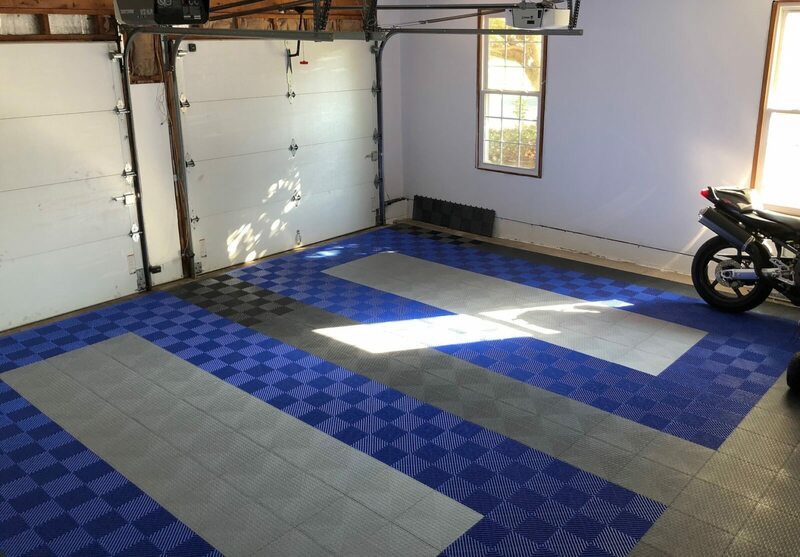 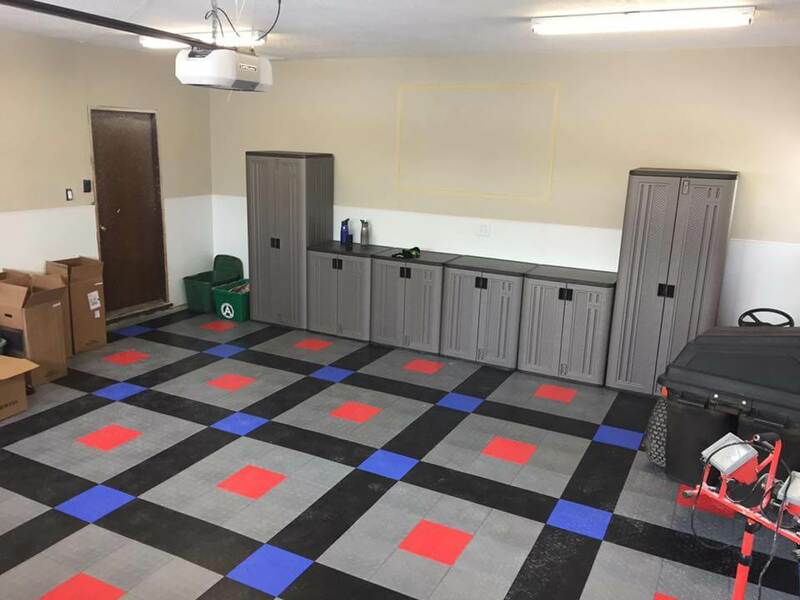 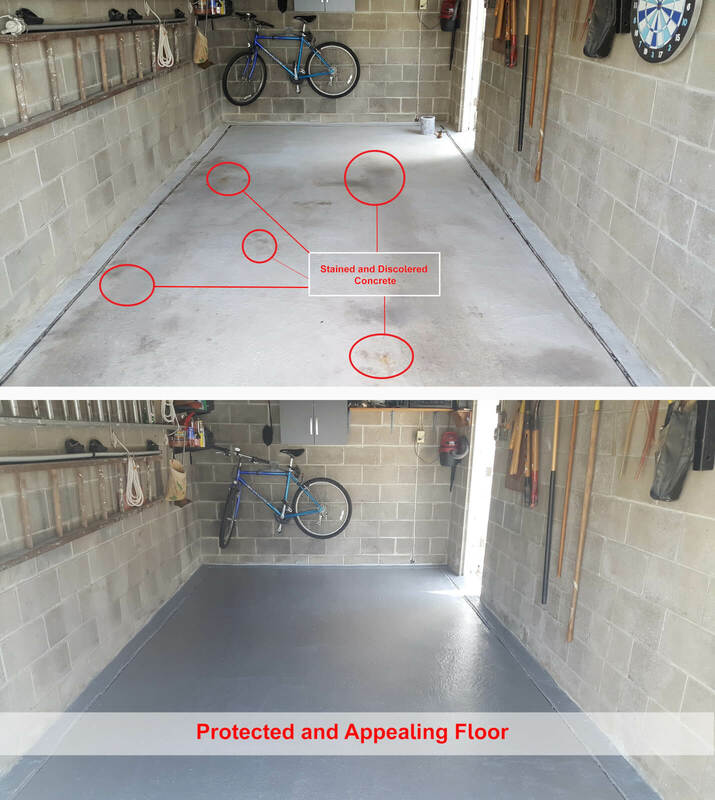 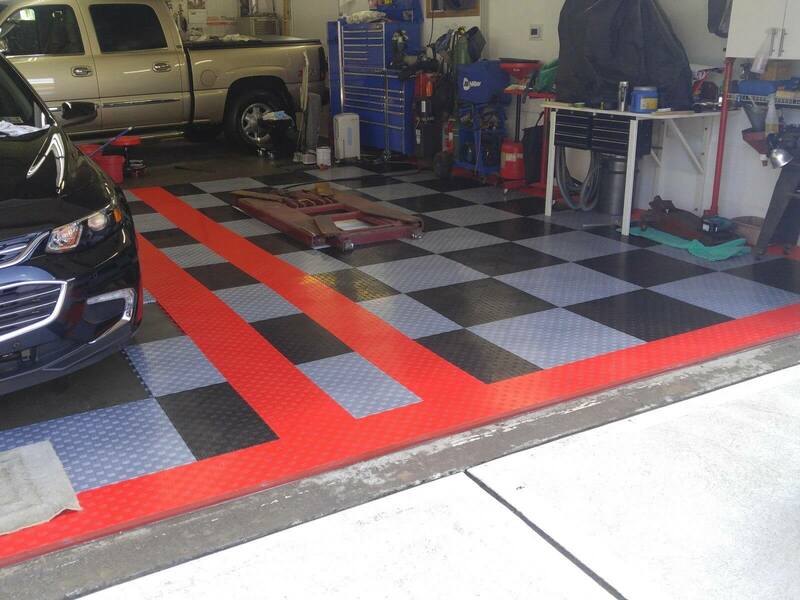 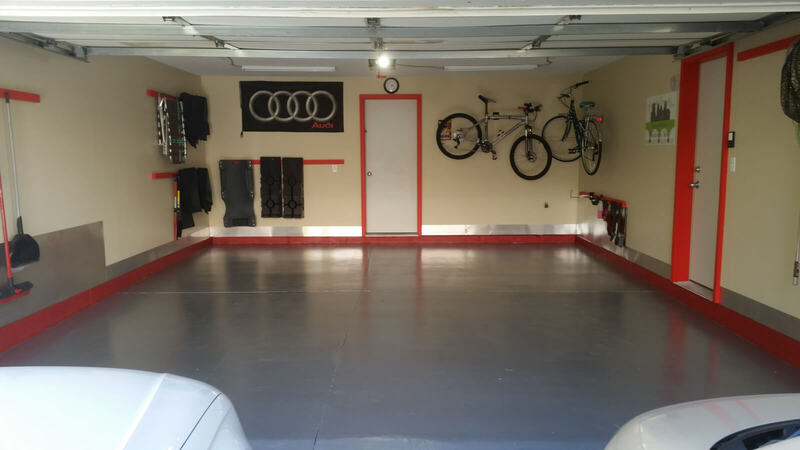 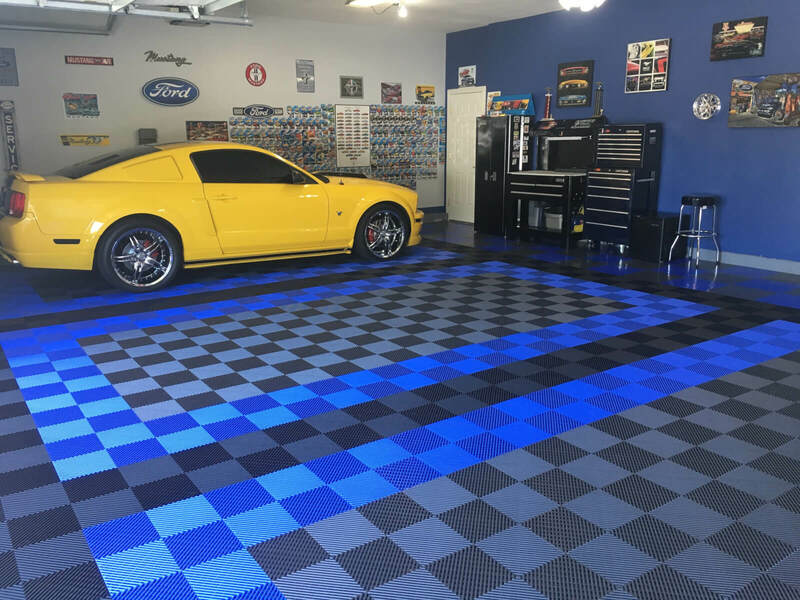 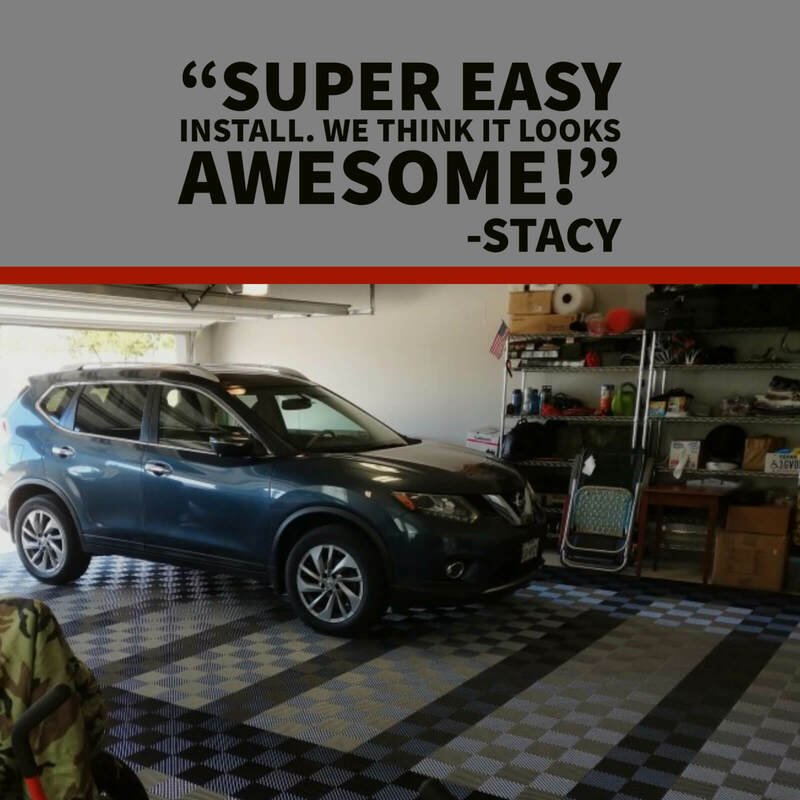 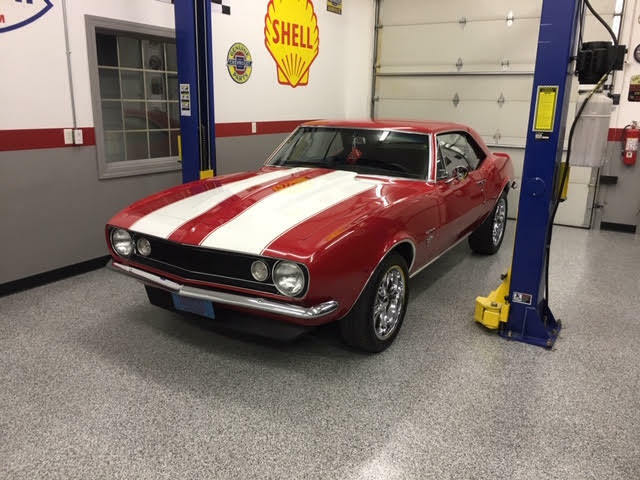 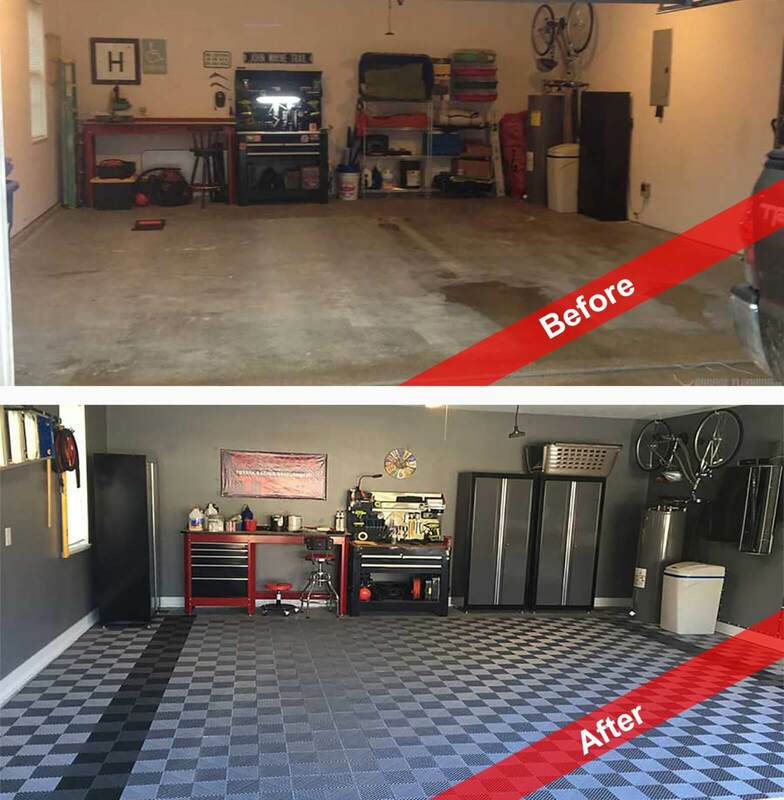 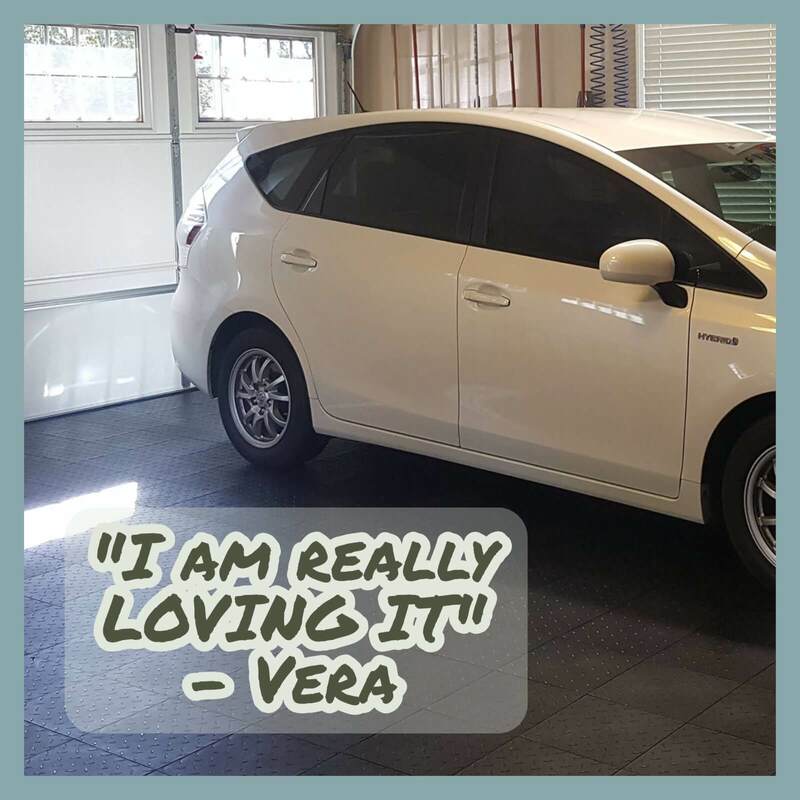 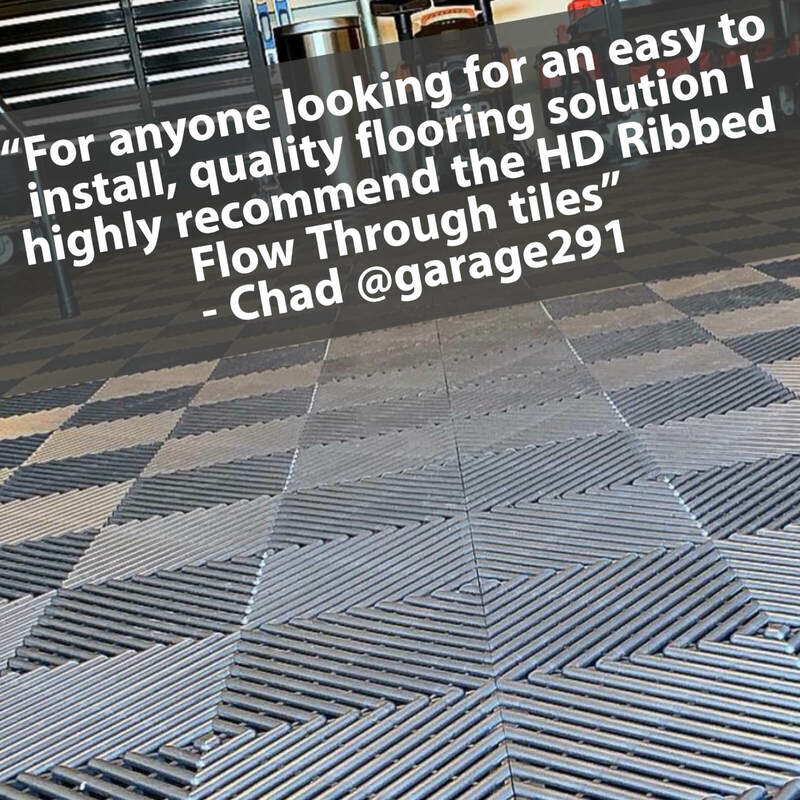 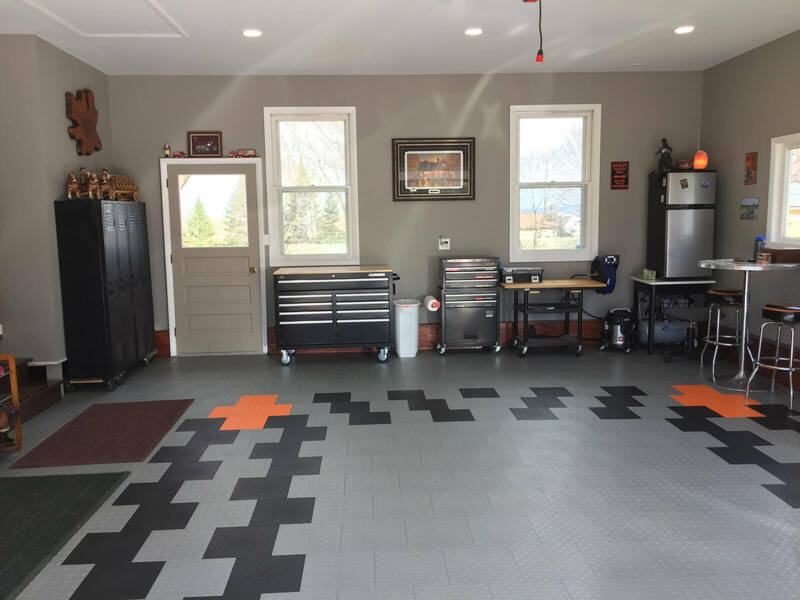 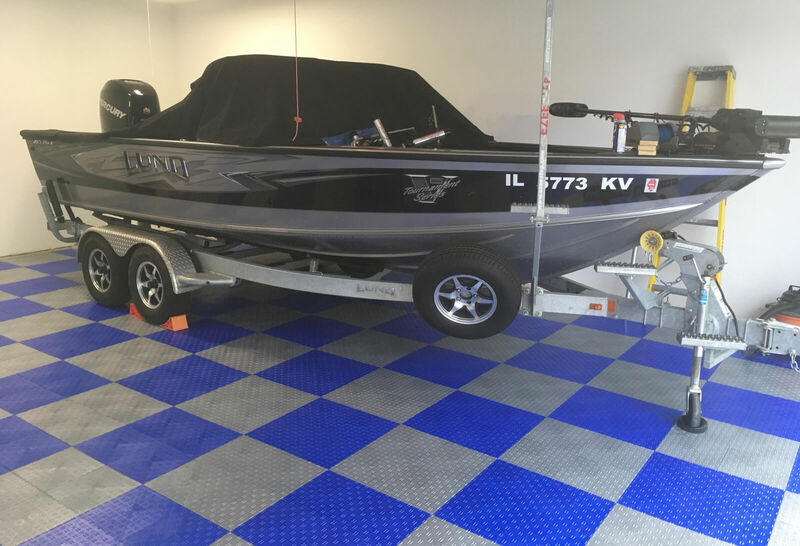 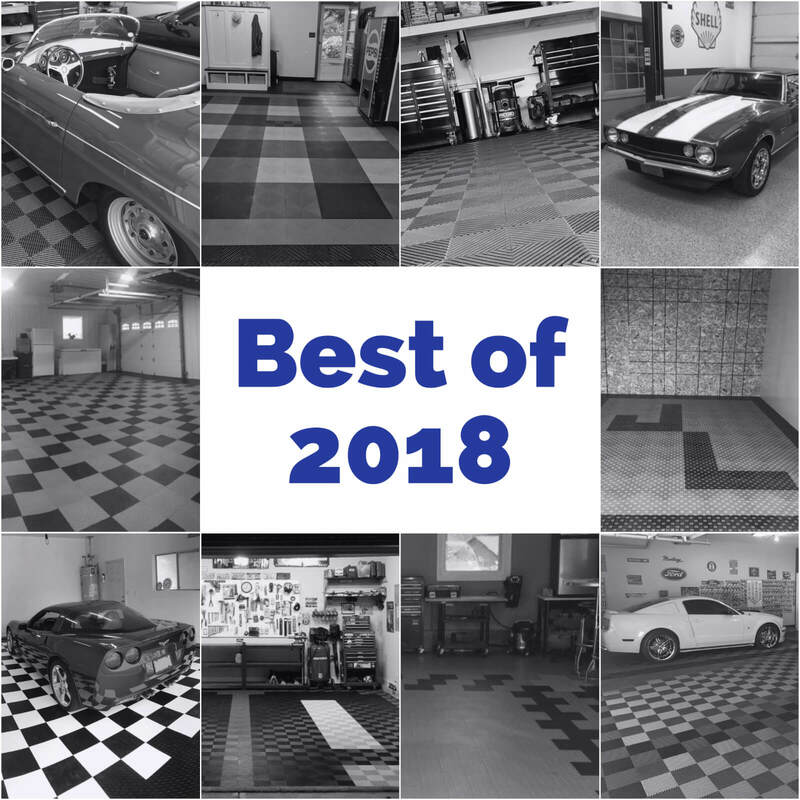 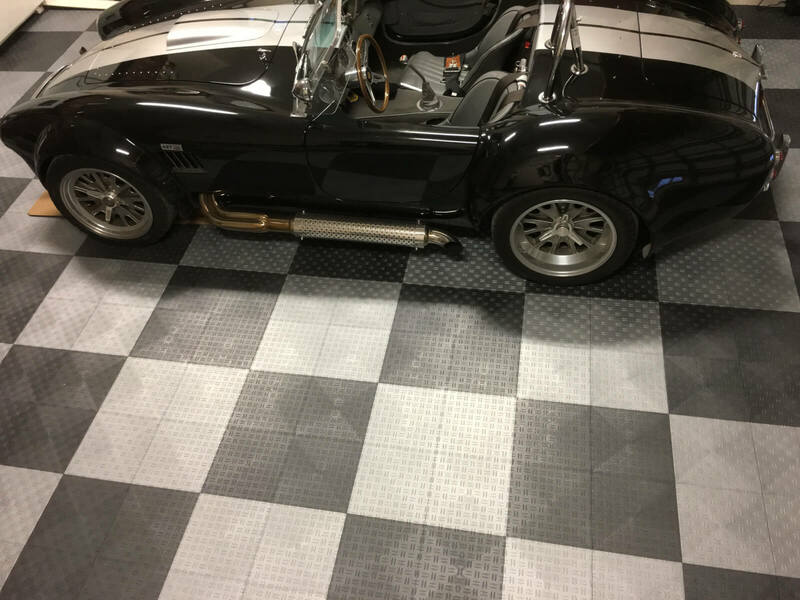 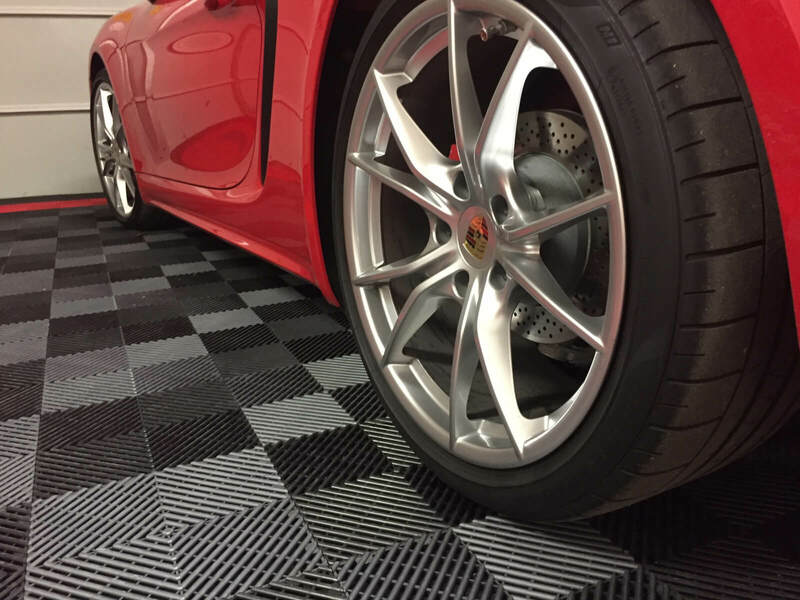 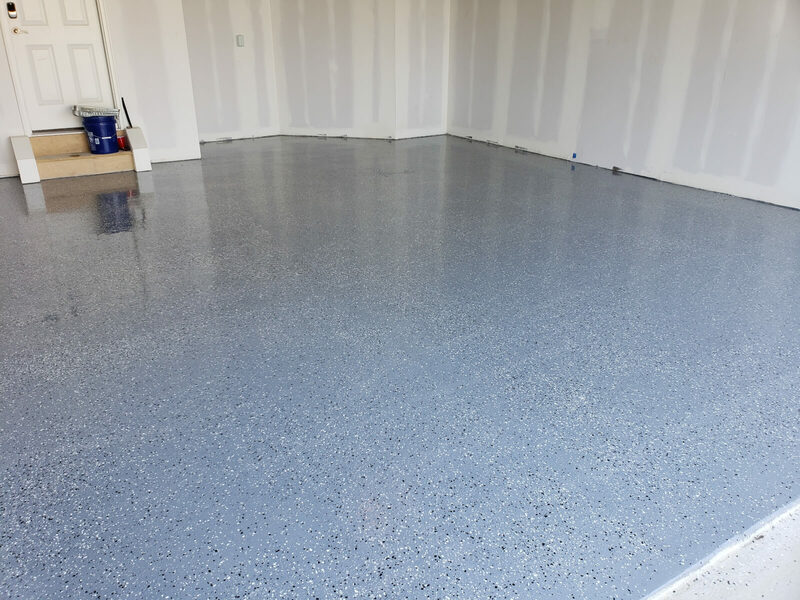 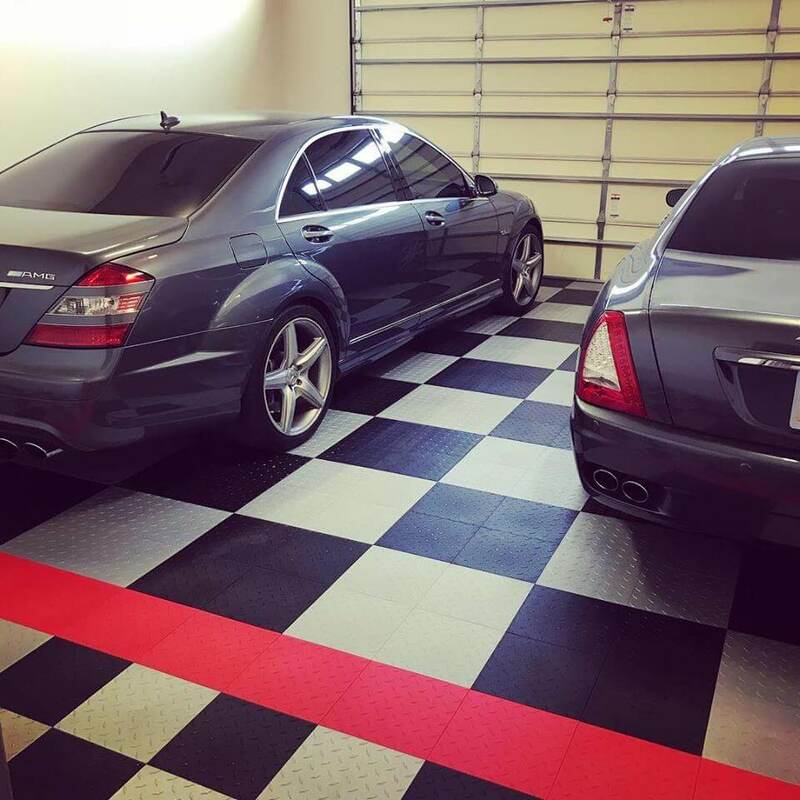 Cheryl completely transformed her garage using the TrueLock HD Coin tiles. 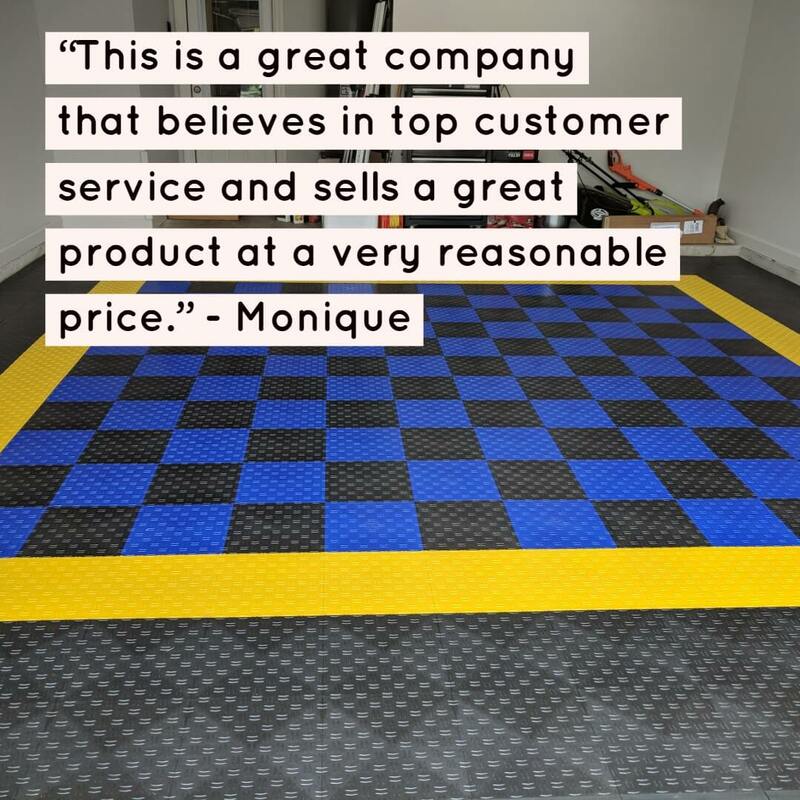 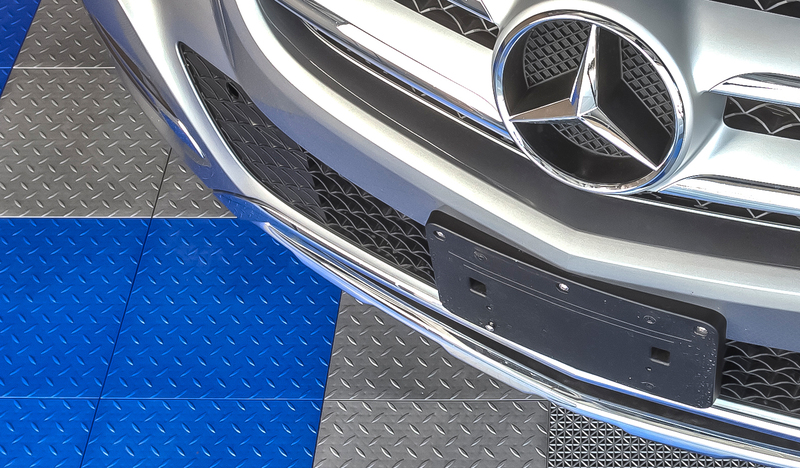 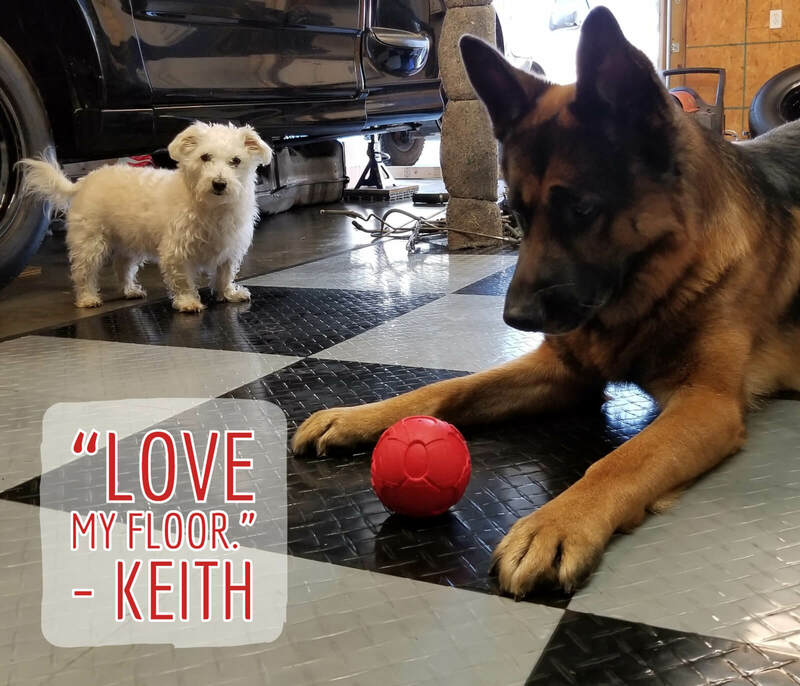 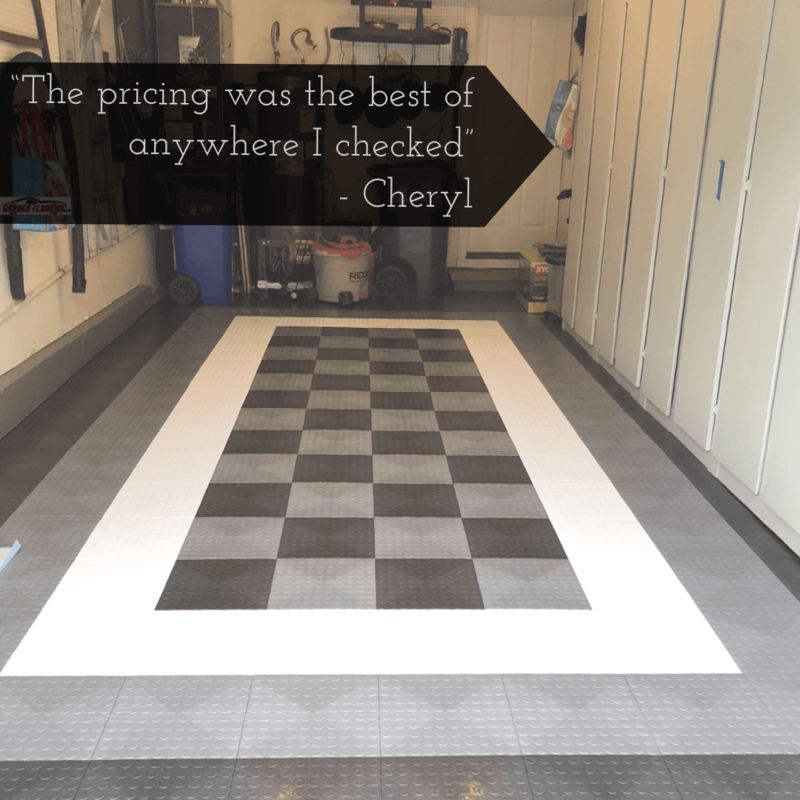 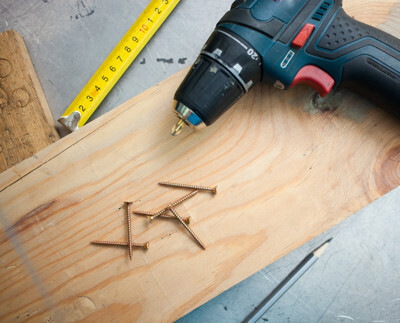 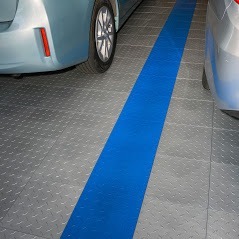 To design her floor, Cheryl took advantage of the Garage Flooring Designer on our website. 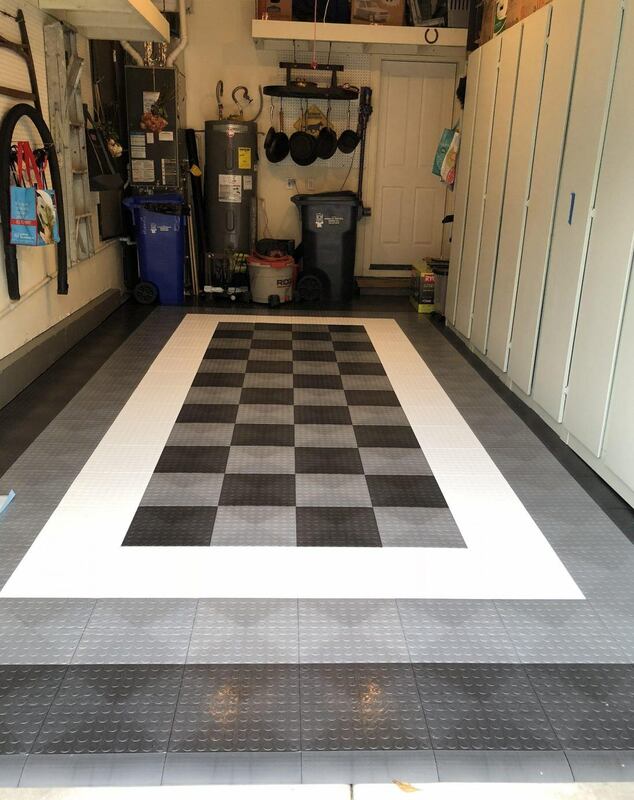 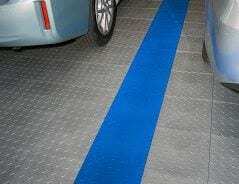 She used graphite, alloy, black, and white tiles to artfully designate a parking spot in the garage. 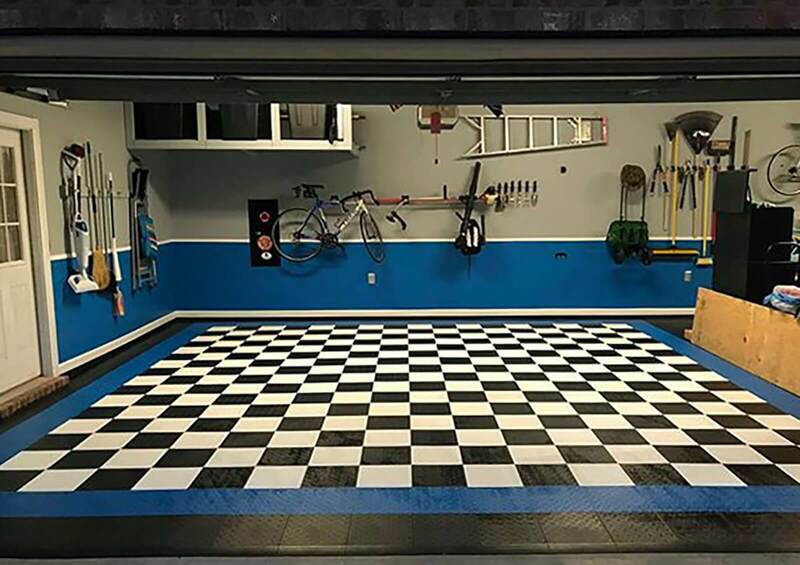 We think this garage looks great! 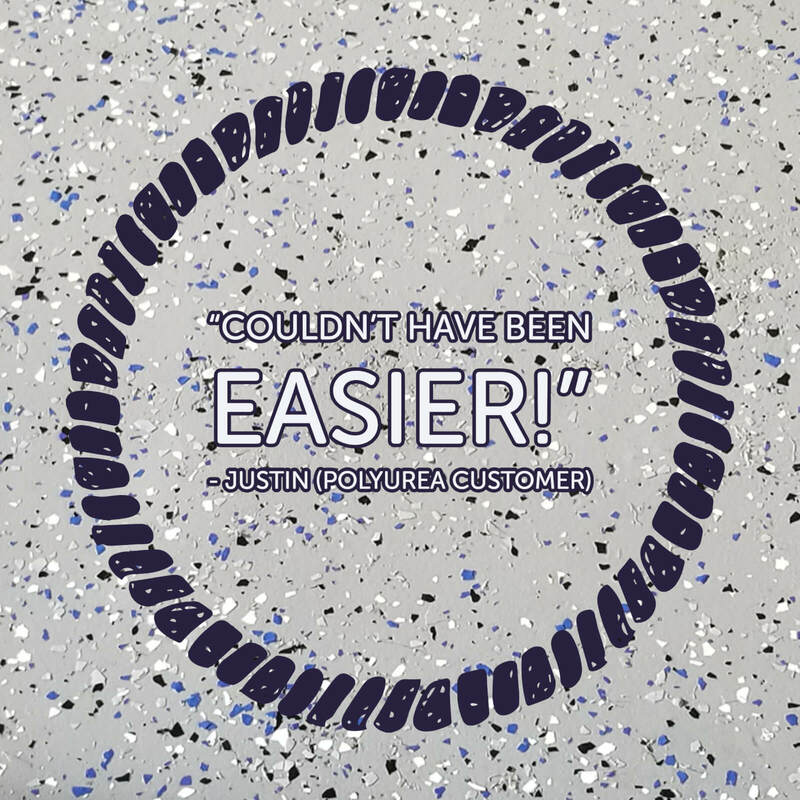 But don’t just take our word for it! 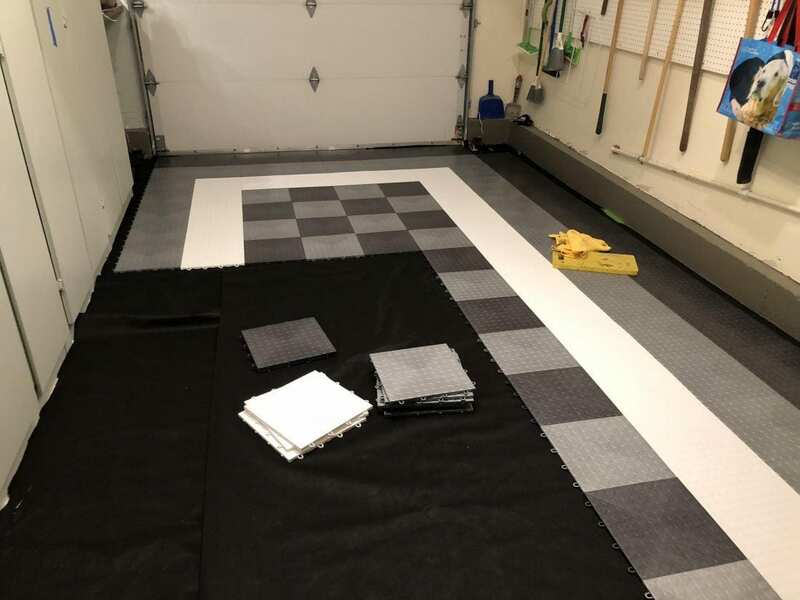 I am not sure what my favorite part of my garage floor remodelling process was. 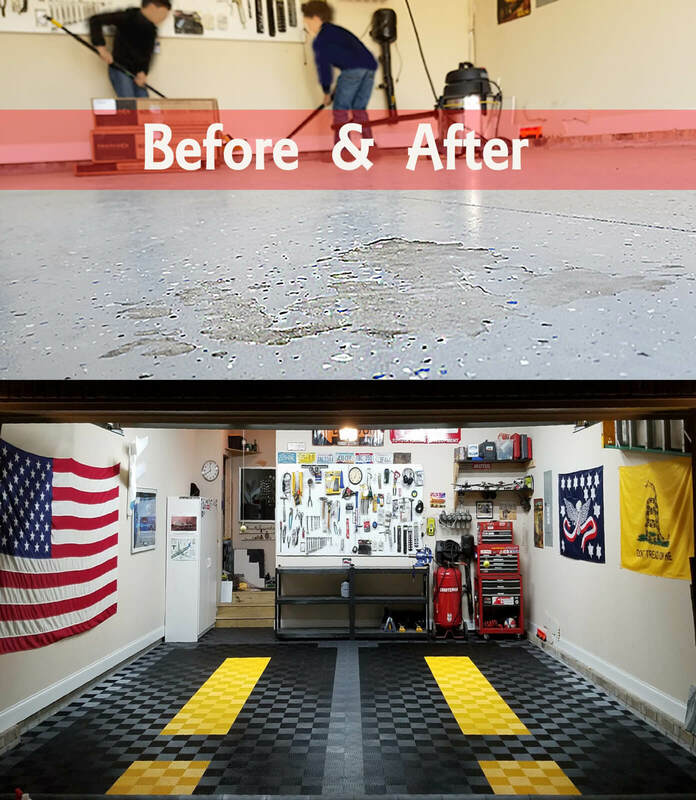 It started out with a sample that Garage Flooring LLC sent to me for free. 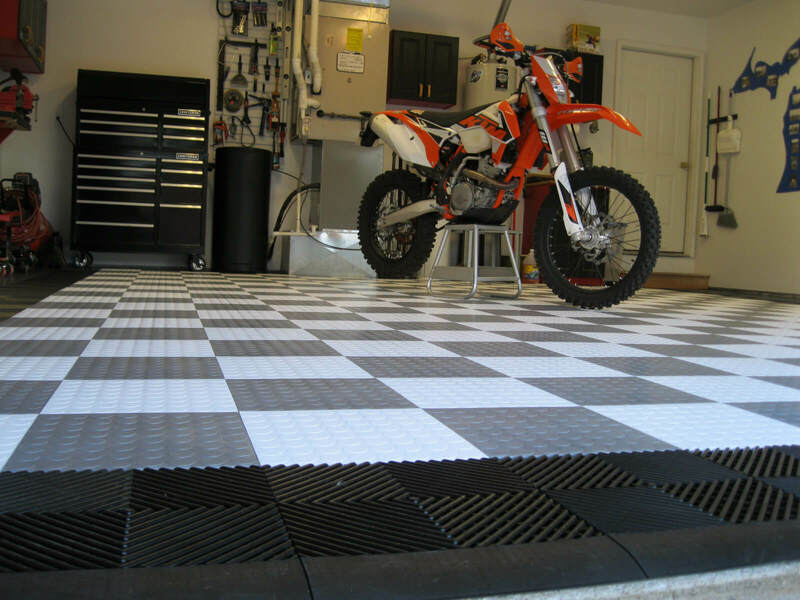 That convinced me this was the way to go with my floor. 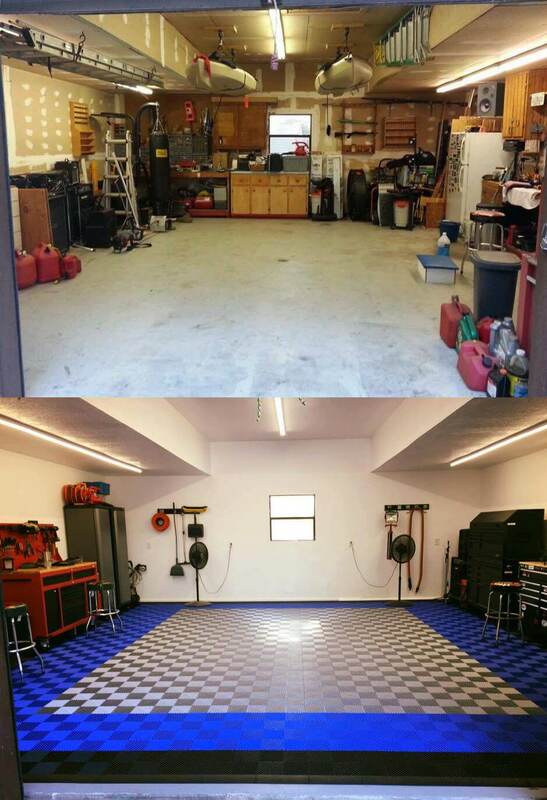 I love that there is the ability to design the space online. 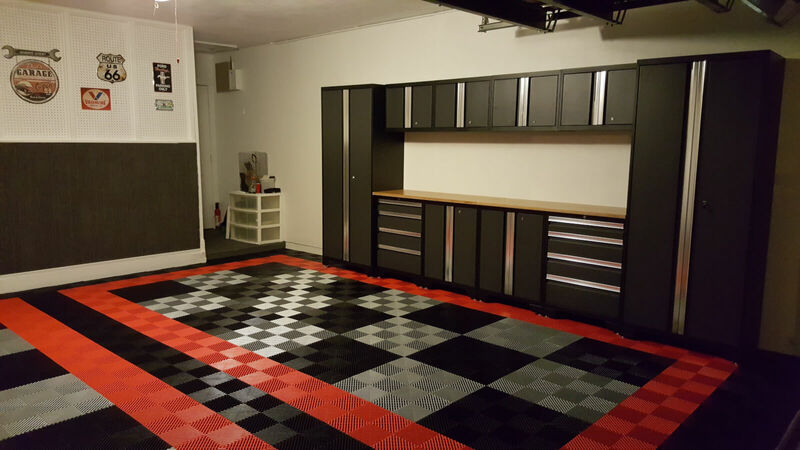 I love that there is the ability to design the space online.I could play with patterns and colors and figure out what worked for me. 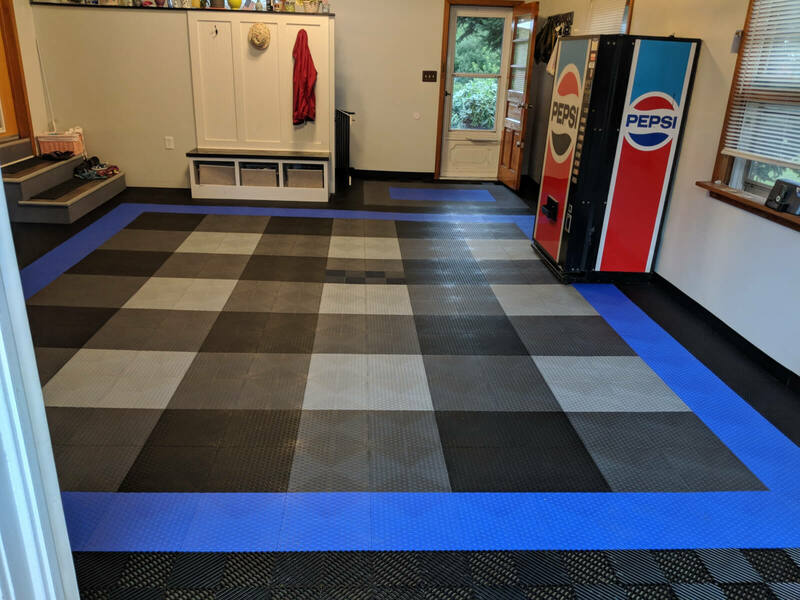 Even better when I decided on the layout the online tool added up all the tiles in each color so I knew exactly what to order. 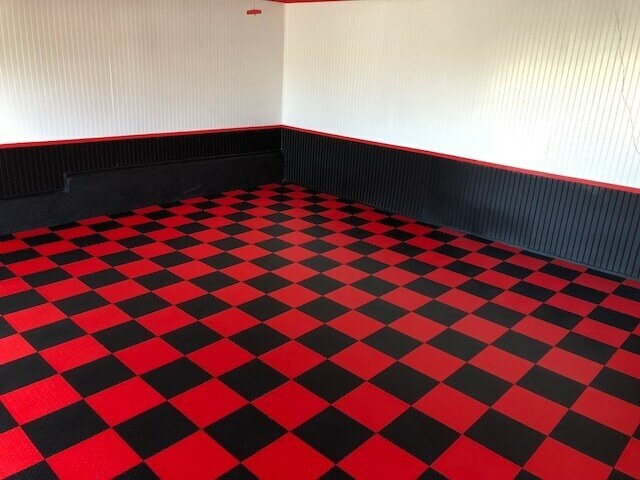 I ordered 3 extra tiles in each color just in case I cut something wrong on the fitted pieces and I’m glad I did. 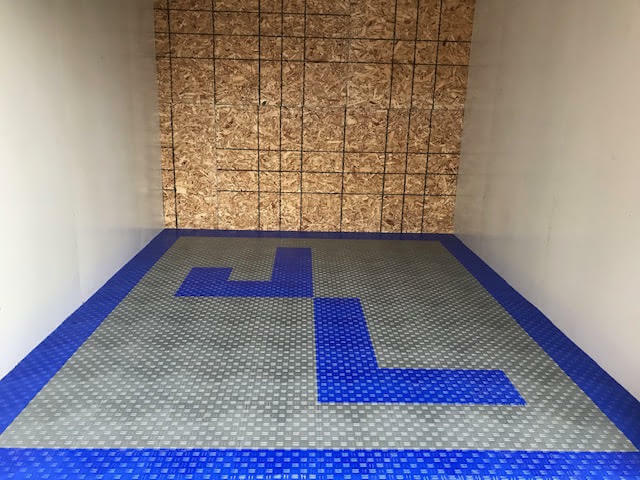 I placed my order on Tuesday (the day after Labor Day) and the tiles were delivered that Thursday. 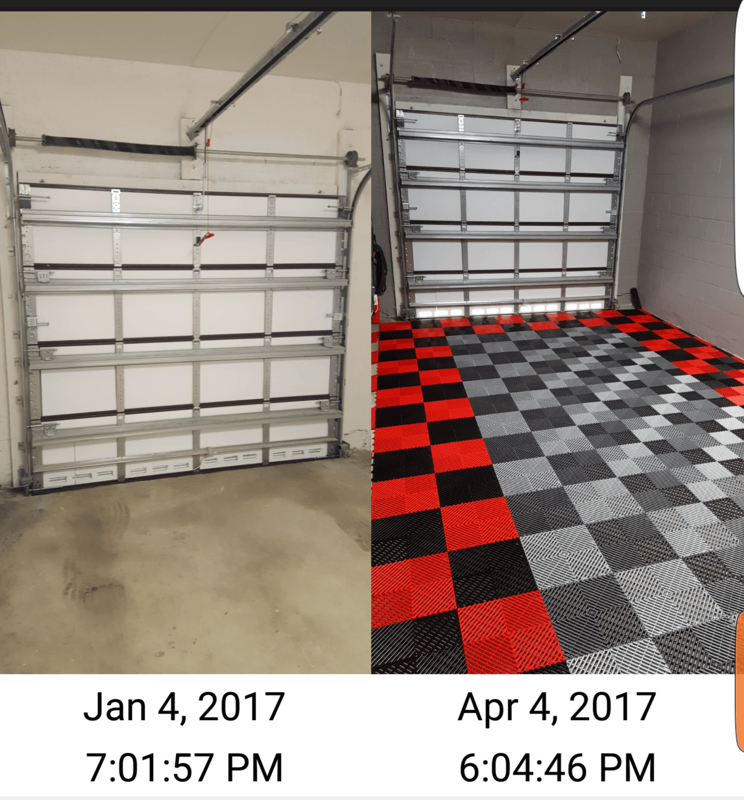 That was FAST! 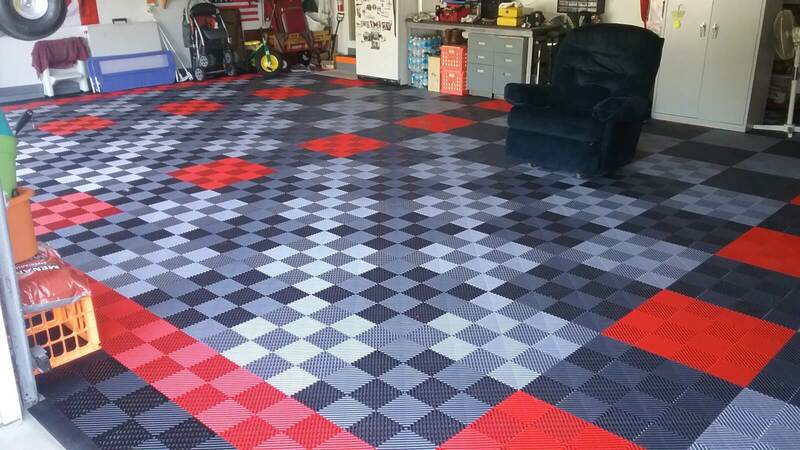 As a single “mature” woman I was able to finish the full pieces layout within 4 hours. 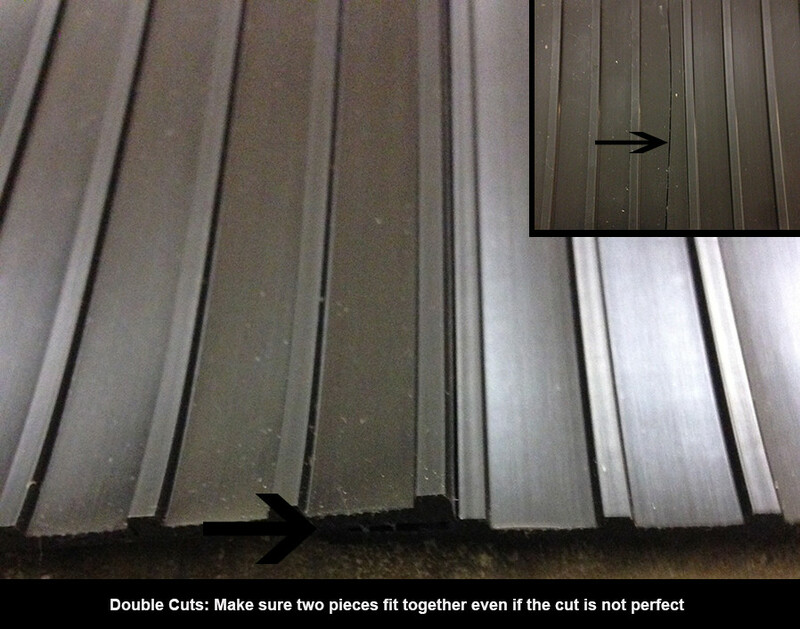 The cutting took me longer but that’s because it was something new to me. 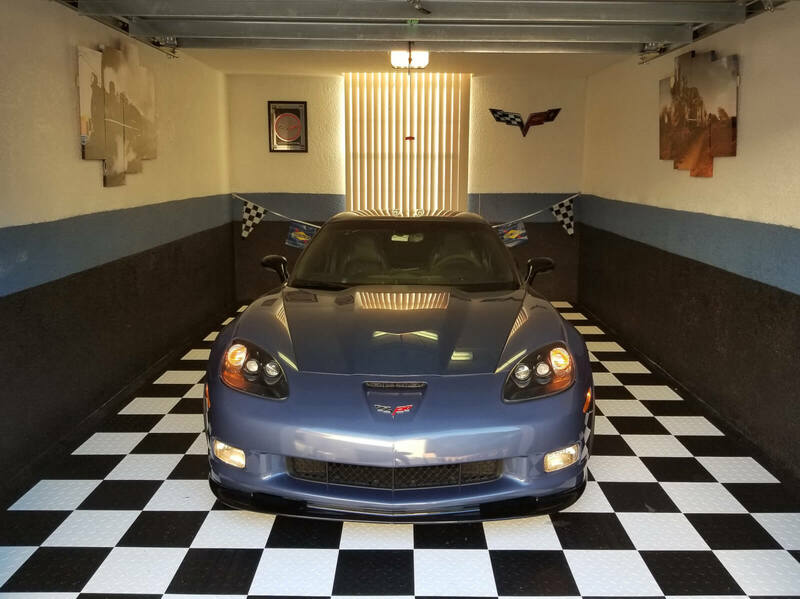 The pricing was the best of anywhere I checked. 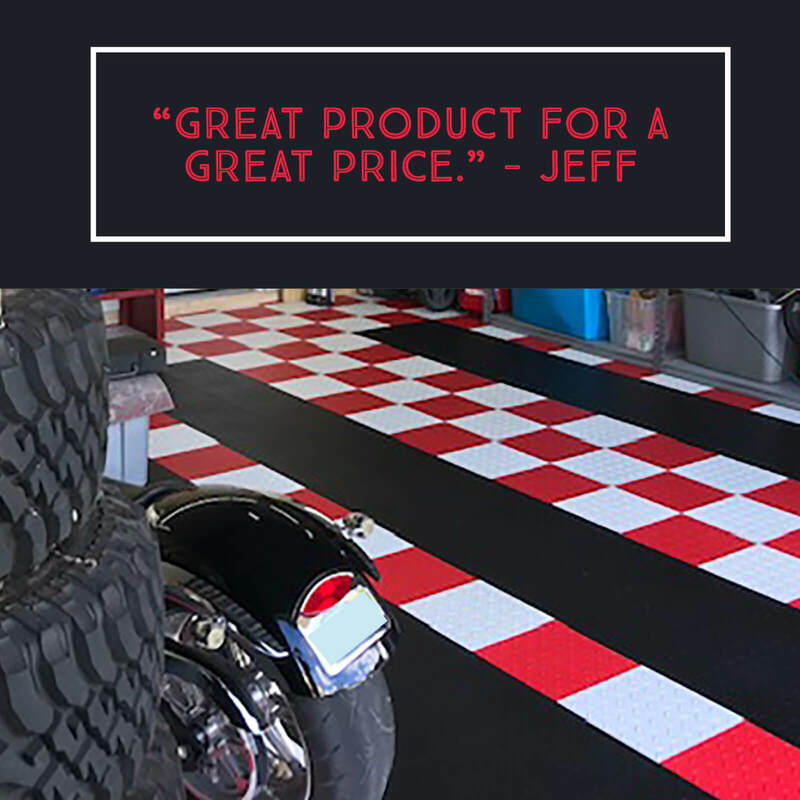 I was impressed with the thoroughness of the information on the website and the pricing was the best of anywhere I checked. 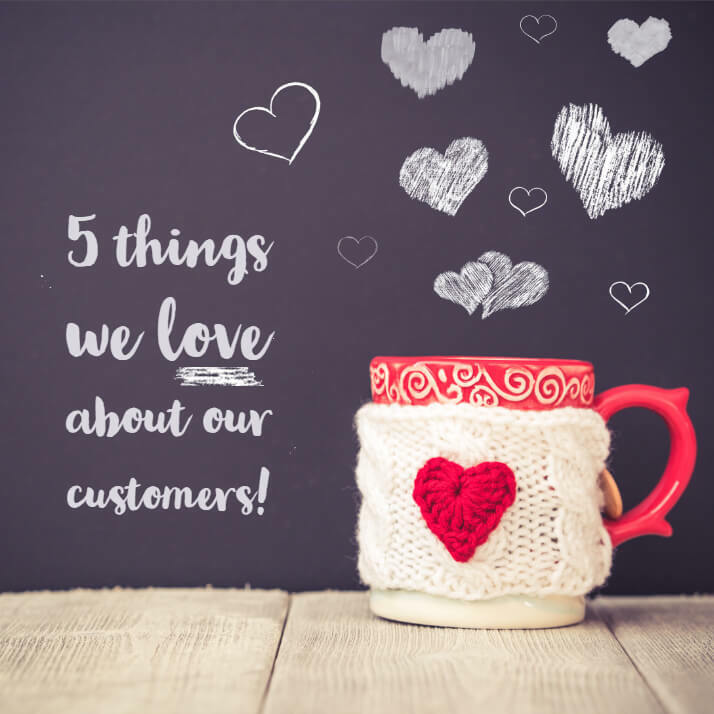 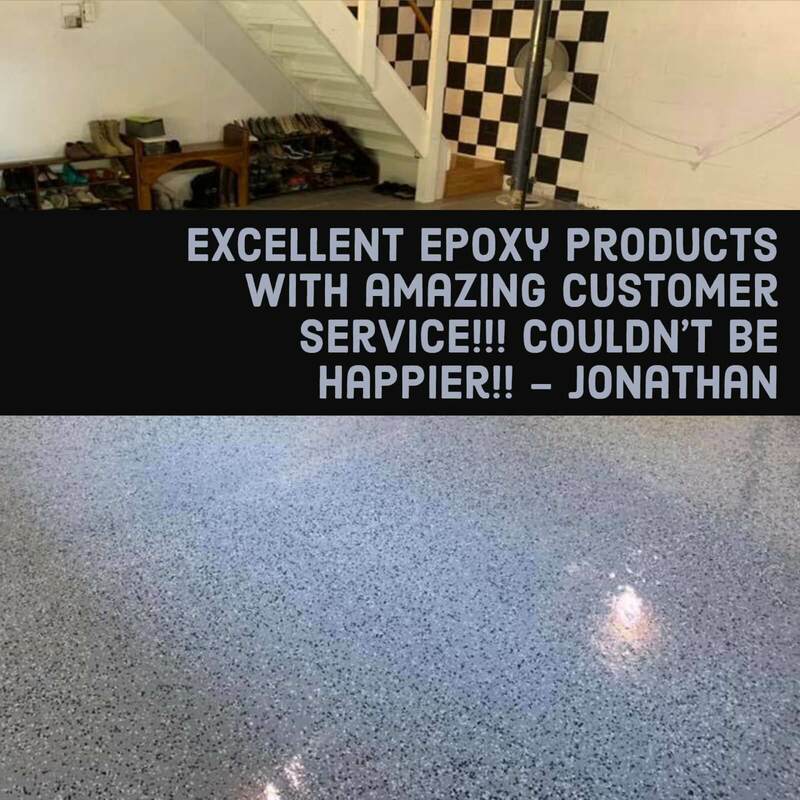 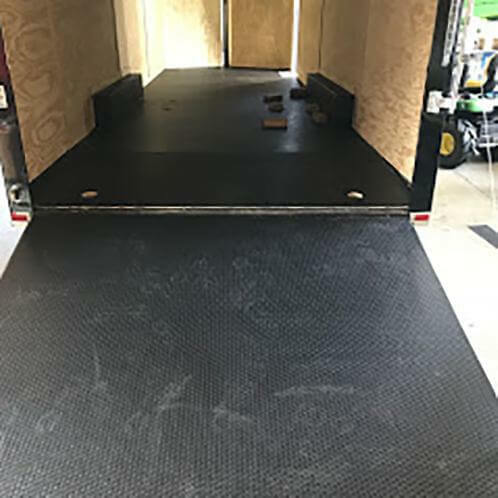 The follow up the customer service rep when I first ordered a sample and then again with the owner just a week after the flooring was delivered was greatly appreciated. 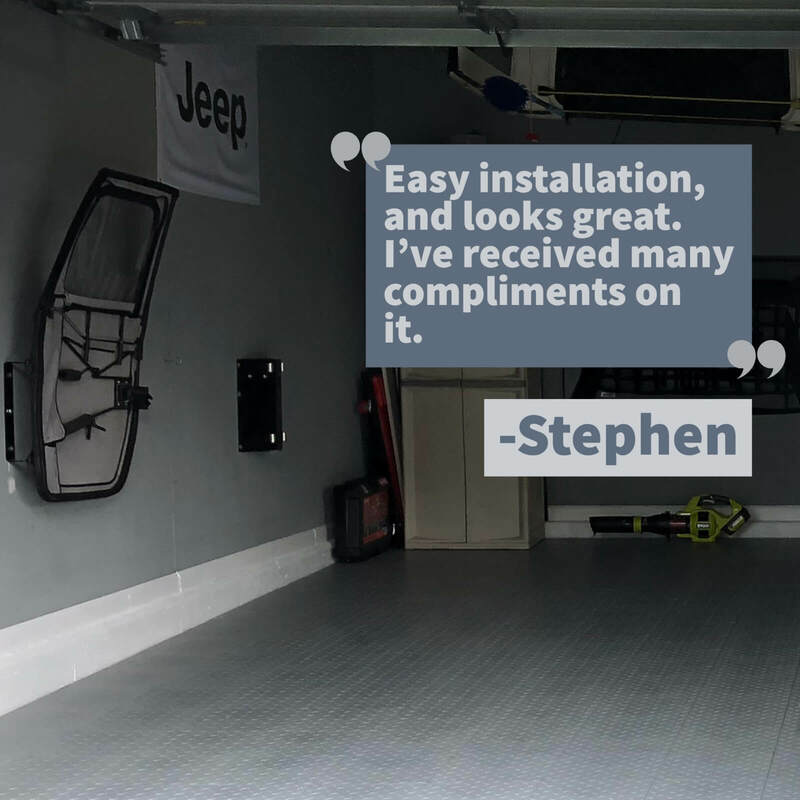 Great experience all around!